Description: Enter a dazzling world of adventure at The Wonderful World of Disney On Ice! Join Mickey and Minnie for a celebration of magic and family fun. Dive into the ocean with Dory, Nemo and Marlin as they discover the real meaning of family. Travel to Arendelle as Anna, Elsa and Olaf learn true love is the greatest power of all. Nothing is out of reach for Rapunzel as her friends help light the way. Jump out of your seat in a foot-stomping throwdown led by Buzz and Woody; Simba, Pumbaa and Timon prowl the Pridelands; and the Disney Princesses stay strong and journey on. Plus, learn the Mouse Bounce dance at the Fit to Dance pre-show. Make unforgettable memories as you explore The Wonderful World of Disney On Ice! Description: Come along to our Easter Fun Day hosted by Rothiemay and District Playgroup. £3 per child. Find the clues, unscramble the word and take home an Easter Egg. Held in the School Playing fields regardless of the weather! Colouring in, bake stall, new and improved lucky dip, kids games lots of fun to be had. As well as tea and coffee. Lots more to be confirmed! Description: Fly Cup is holding its spring craft fayre on Saturday 23rd March 2019 from 10am to 2pm with a variety of craft/gift stalls – ideal for picking up the perfect gift for Mother’s Day or just to treat yourself! Fly Cup Catering is a charity providing training and employment opportunities to adults with learning difficulties in the catering and hospitality sector (Charity No: SC029395). Description: A mini-tour of Rosemount focusing on the hidden treasures around Gilcomston School/ Jack’s Brae. Developed from the full length Rosemount Ramble, focusing on the hidden gem of Mackie Place, the 18th century cul-de-sac owned by hide-skinner, Robert Mackie, who commissioned the distinctive ogee-shaped “White House” and the remaining tenement of no’s 4-5, and Jack’s Brae, where there were industries galore, including Strachan’s Mill, Paterson’s Tannery and later the North of Scotland Bedding Company. There’s the story of St John’s Well, the main fresh water source for the inhabitants of Jack’s Brae and Hardweird; George Dickie, the owner of Cherryvale, a long-lost mansion, who tried to block the owners of the White House/Galleries from overlooking his garden. Three hundred years of history in 60min! Meet in Cult of Coffee – lovely coffee and cake available! Not suitable for disabled or those with restricted mobility. Description: Tombola, Face painting, glitter tattoos, Lucky punch, Guess the panda’s name, Raffle prize draw, Homebakes plus much more! Description: Fundraising Show for Fishermoss School. odyssey across the universe to explore strange new worlds and dimensions on their galaxy hopping quest to find their keys. Find out if the moon is really made of cheese? What is the stinkiest planet? Where are the friendliest aliens? brand new songs, THE SPACE RACE is out of this world singalong fun for all the family. Come dressed for adventure – come as an alien, a space princess or an astronaut ! To make this day even more special, both shows will be filmed for the making of our new DVD so you could be the star of the show! Description: The Torcher Parade is back! Join us on 23rd March 2019 at 6pm on Union Street for the return of Aberdeen’s Torcher Parade which will follow its new route along Union Street, beginning at Albyn Place and finishing on King Street. The 2019 Parade will include 20 student-built floats and many more students in fancy dress on foot. Description: Raising funds for the Aberdeen Neonatal Unit. Neil Dawson & his band. Or contact me on 07788212120. Description: Riders to visit Anguston Farm for coffee & cakes. The ride from Duthie Park to Easter Anguston Farm will be about 10 miles, slow and easy on the Deeside Way. It is a ride for all levels of ability from kids and inexperienced to the more experienced riders wanting a potter. Meet by the pond in Duthie Park. Everyone welcome, just bring a bike. The ride will be easy and slow, mainly on the Deeside Way, led by trained leaders. See http://www.ctcgrampian.org.uk/ for more details. Description: Come along and learn how to cook. On the menu is calzone followed by cheesecake. All equipment, utensils and food is supplied. Suitable for ages 2.5 years to 12. Please contact Kids in the Kitchen Aberdeen to book your space today. Description: Take this opportunity to see Scotland’s first urban community hydro scheme in operation. This multi award winning scheme is situated in the heart of Tillydrone, on the banks of the river Don, next to Donside Village. Creating power by harnessing the energy of the river, in harmony with the environment, this scheme (managed by ACEnergy) is completely run by volunteers. ACEnergy is a not for profit company, with volunteer directors, that will return profits both to the investors and to the community. Booking is essential by sending an email to jane.fullerton@yahoo.co.uk If you want to do the guided walk afterwards, stay at the same venue and meet the Countryside Ranger at 1:30pm. Description: Come along to the Science Centre to celebrate Climate Week Day on Sunday 24th March. Climate change affects us all, with human activity causing the Earth to get warmer in the last 100 years. Our Earthy is not feeling well, so come and see how to make it feel better. Discover how wind farms and other renewable energy help us meet our energy demand while combating climate change. 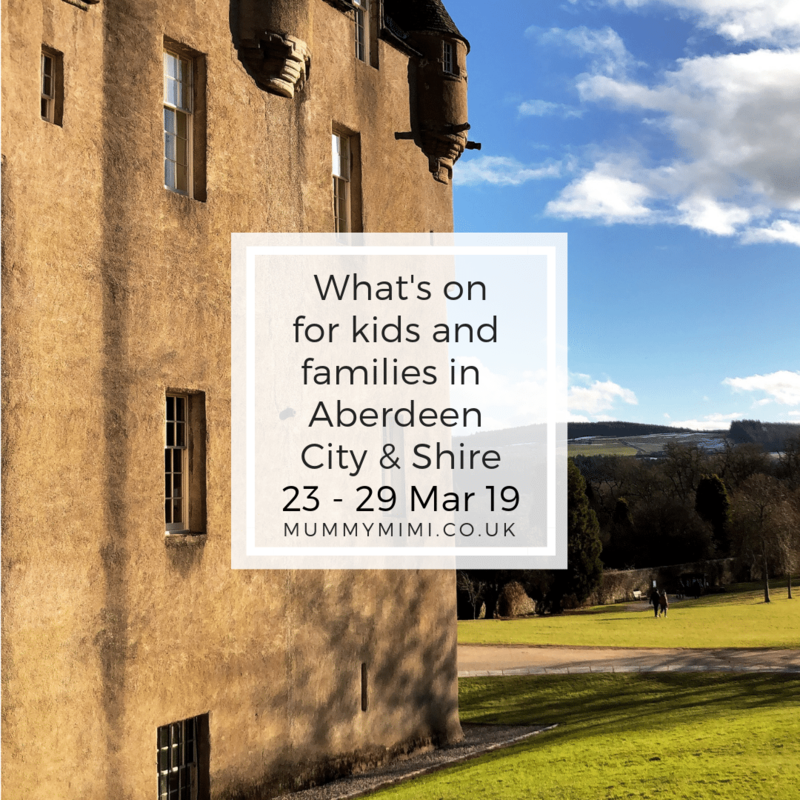 Description: Join Aberdeen City Council Countryside Ranger Service for a guided walk along the river Don from the Donside Community Hydro to Donmouth and back to, see the wildlife that abounds between taking in the amazing Seaton Park as you go. The area is a haven for otters and kingfishers, to mention a few, so come along and see what wildlife you can see. If you wish, join first the Donside Community Hydro tour (12:30 to 1:30pm) and follow up from there to our guided walk. Please book separately. If you just want to do the guided walk, meet the Countryside Ranger at the Donside Village Hydro at 1:30pm. 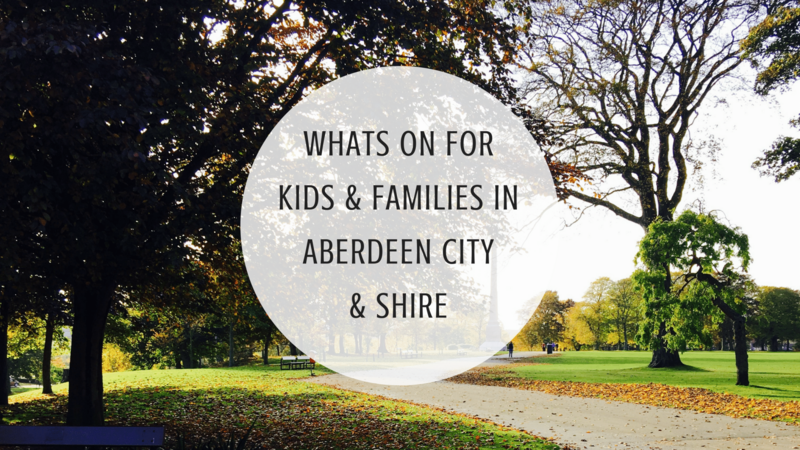 Booking is also essential by phone 01224 326429 or email countrysideranger@aberdeencity.gov.uk . No costs, but donations welcome. Description: Come along to meet local businesses, hear talks about pregnancy and birth and meet others. Oh and coffee and cake! Description: Jack sells his cow for a handful of beans but little did he know the trouble they would land him in. Join Jack and his talking beans for an eco-adventure for the whole family. Tickets from www.skiddle.com. Adults £8; Children under 16 (accompanied by an adult) £1. Description: We are holding a fundraising event to raise awareness for Downs Syndrome and promote inclusion. Come join Rapunzel for games and songs, scale some walls with Spider-Man, dance along to showcase the street, learn to sign, and pop a balloon to win a prize. PARTY WISHES will be entertaining throughout the event with party games, singalongs and photo opportunities. The Home cook will have a delicious assortment of cupcakes, truffle cakes, mallows and sweet cones on sale. FILL IN THE FORM TO BOOK YOUR SLOT ***** PAYMENT IS REQUIRED AT TIME OF BOOKING. Description: Drop in session for babies up to preschool age. Relaxed and informal session where parents/carers can have a chat and watch kids play. Description: Come and take part in our post-climate week twilight Bookbug sessions, in the run-up to Earth Hour. Songs, story and rhymes will all be linked to our planet and will be delivered by lamplight! If you have a wind-up torch bring that along too so you can take part and create your own light. Bookbug sessions are fun and interactive for families with children aged 0 â€“ 5 years. Booking is essential as spaces will be limited. To book your space contact the library. Description: Learn about the ‘Aultoun’ and its buildings, from the medieval Snow Kirk and Kings College to the artisan housing of the 18th and 19th century, and the hidden secrets of the university campus, including the secret Snow Kirk, the Macrobert Memorial Garden, and the delightful 18th century buildings of the Chanonry. Bishop Elphinstone was the founder of Kings College, little did he know at the end of the 15th century that many centuries of building of both sacred and secular kinds would rise up around his new university, and that the Protestant troops of General Monck would destroy St Machar Cathedral with their scavenging for stones to build up their hastily-planned fort on Castlehill in the New Town. For anyone who ever wondered ‘if walls could talk…’! Meet at Kings College entry path, High Street. Description: Friday Fun is drop in group with a variety of activities for babies and kids up to pre-school. It’s £3 a session and as it’s parent-led activities please do help out and get stuck in. Description: Grab your tickets while you can! Ah yay, the torcher parade! I had no idea, so glad I read this!